Low latency has been a trending issue during past years as Flash and RTMP are being deprecated by the industry. So media streaming companies are trying different options to handle real-time video and audio delivery. Our company are getting requests about providing the solution which might address this concern. We introduce SLDP: Softvelum Low Delay Protocol. It's a last-mile delivery protocol to end-user devices at multiple platforms. SLDP is based on WebSockets. Codec-agnostic to play whatever your end-user platform has - H.264, VP9, HEVC. ABR support with switching channels taking just a GOP time and each channel may use its own codec. HTTP and HTTPS on top of TCP: use it with any network settings. The mobile SDKs is available for iOS and Android. 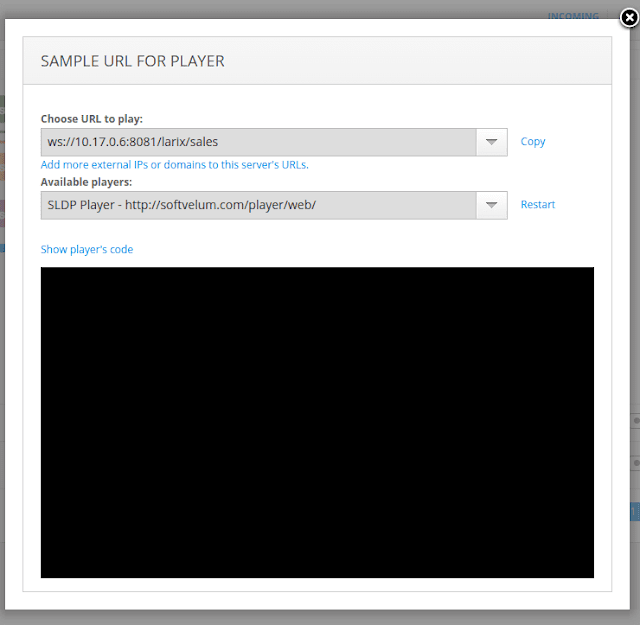 As for server side, at the moment SLDP transmission is available Nimble Streamer. It's just another protocol output supported by our server. 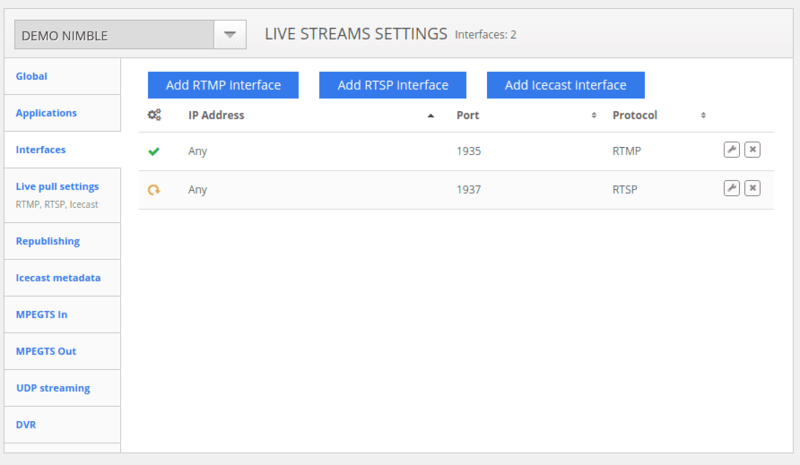 Any supported live protocols can be used as an input. Feel free to try it in action right now by installing or upgrading your Nimble instance and selecting SLDP in live streams settings besides existing methods. Please visit SLDP website and contact us in case of any questions as we're moving on with SLDP so your feedback is appreciated. Our trial users often ask us similar questions like "How are your solutions better than competitors' products? What are your benefits and advantages over products X, Y or Z? Why should I choose you instead of competitors?" So basically the question is "Why do you think you are better than your competitors?" The short answer is simple: You tell us why. OK, let us give you more detailed answer. Your project needs tools for media streaming, such as a media server, or a transcoder, or a mobile broadcasting solution. So you make a list of your own requirements and your perfect solution must comply with them. The next step for you is to make a list of solutions you'd like to try before making your choice. Each product category has several candidates these days but the list will not be huge anyway. Now the real work starts. You should install and try every candidate solution you find proper. Yes, install it, set it up and run your own test use cases and scenarios. Feature set. This is what you're actually looking for the most. All solutions on the market have ~80% of their functionality be the same. Some solutions are unique in their own area of expertise - and that 20% difference might be something needed for your project. And of course you need to check every feature you want to use, don't trust marketing materials. Cost of ownership. Both CAPEX and OPEX should be considered, including license cost, hardware cost, consultants pricing etc. You must know your total expenses and revenues better than anyone, so use simple math instead of salesforce to help you. Support and documentation. You should carefully check how each company support team handles your requests. You may need their help in future so need to be sure they will help accurately and on time. You don't want that documentation to be outdated and you expect it to help, not to confuse. Ask questions to support team in case if docs cannot clarify some points. Legal questions. Make sure the selected products have appropriate license agreements for used patents and technologies. Like we have. You don't want to find yourself in the middle of a lawsuit for patent infringements. All these points matter, so you should carefully check them. If you ask anyone about their solutions instead of trying yourself, you will probably be told lots of good things but no one's advice can compare with your own experience. Trust your conclusions, don't listen to anyone, make your own decisions and decide what's best for you. Another important point is that you should not rely on a single solution or tool set, you need to be familiar with several solutions. You can use them as soon as your requirements change or if any current solution becomes compromised or its support becomes discontinued. Hopefully we answered your initial question. If you still have something to ask, just contact us. MP3 audio format is widely used besides AAC. In April of 2017, the last patent related to MP3 expired. So it can now be used with no royalties or other limitations as part of audio processing and transmission scenarios. So you can now easily transcode AAC to MP3. You can also apply various audio filters like re-sampling, transrating or audio channels manipulations. This can be used as part of Nimble Streamer audio streaming capabilities. Let's take a look at a simple scenario which takes incoming video+audio stream and transcodes audio into MP3, regardless of its original audio format. Nimble Streamer has a transmuxing engine which allows taking any stream of any transport protocol in and generate streams in all available protocols as well. You can check our Live Streaming feature set to see full list. 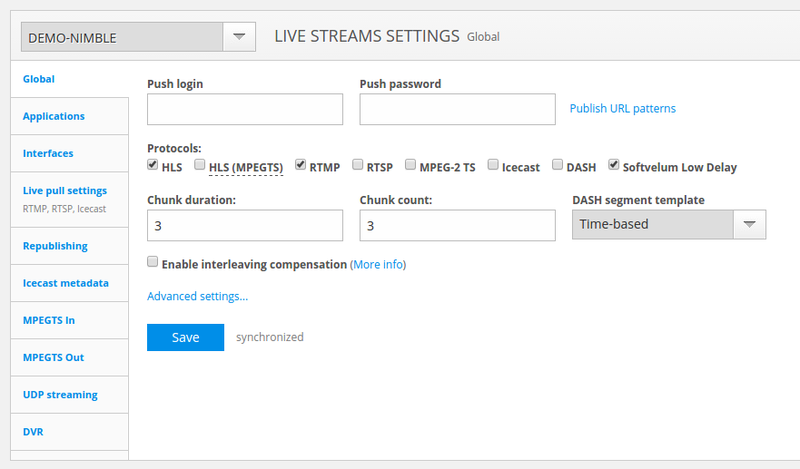 Usually our customers use RTMP, RTSP or MPEG-TS to deliver streams to media server and create outgoing streams that can be consumed by end-users. 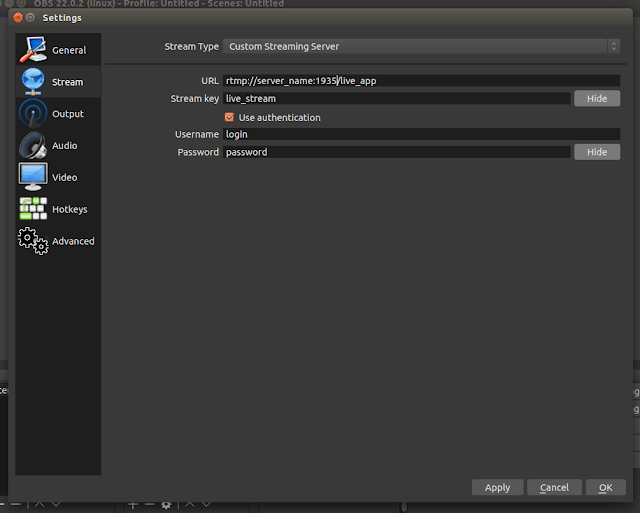 However, there are cases when only HLS streams are available as a source. So now Nimble Streamer also supports HLS as an input. The setup is similar to MPEG-TS input setup and uses the same approach of input and output streams. Let's see how you can set this up.